OLYMPIA — Washington House Democrats on Monday unveiled a sweeping proposed two-year state budget, funded in part by a new tax on capital gains. Their 2019-2021 operating budget plan would provide for increased K-12 education costs and expand early-childhood learning, Washington’s college state need grant and community college programs for high-demand programs, such as nursing. It boosts spending on Washington’s problematic mental-health system, providing money for the proposed University of Washington psychiatric teaching hospital and an expansion of community mental-health beds. The $52.6 billion budget — which provides for prisons, parks, schools, public lands and other programs — would be funded by a roughly $1.4 billion in new or higher taxes over the two years. That package includes adjustments to the state’s real estate excise tax and an increase in part of the business-and-occupation tax. It rolls back tax preferences for travel agents and tour operators, on the sale of bullion and replaces the out-of-state sales-tax exemption with a refund option. Its largest component is a new capital-gains tax. For years, Democrats have proposed this as a way to make Washington’s regressive tax system more fair and capture revenue from high-end earners, such as in the high-tech sector. 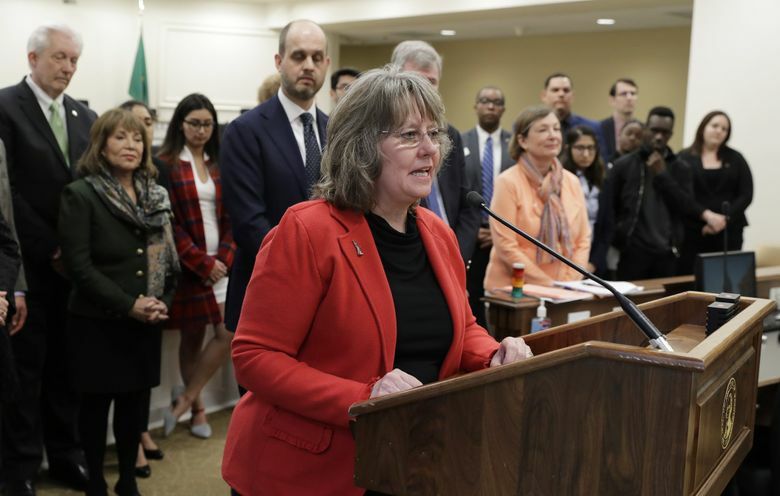 “Unfortunately, the post-Great Recession economy has not produced enough revenue to fund our current needs,” said Rep. Gael Tarleton, D-Seattle, chair of the House Finance Committee, which handles tax policy. Republicans have long opposed the capital-gains tax, calling it unconstitutional. And in December, three Democratic senators said they were not inclined to support a similar capital-gains tax proposal from Gov. Jay Inslee — raising questions on whether it can pass the Legislature. Unlike Inslee’s proposal, the House Democratic capital-gains plan affects a smaller number of people but comes with a higher rate. It applies a 9.9 percent tax on some capital-gains earnings — such as the sale of bonds and stocks — above $100,000 for individuals or $200,000 for households. Retirement accounts are exempt from the proposal, as is the sale of livestock, farms or timberland. Tarleton said about 13,400 residents would be affected by it. That tax would raise about $781 million this budget cycle, with all of that coming in the second year. The Democratic proposal also would change the real estate excise tax from its 1.28 percent flat rate to a graduated rate. That proposal would lower the rate for people selling a home for $500,000 or less. The current rate would remain the same for people selling houses between $500,000 and $1.5 million. Above that number, a higher percentage would begin kicking in. The plan would increase part of the business-and-occupation tax for services to 1.8 percent of revenue, up from 1.5 percent. But that would only apply to business categories that rely heavily on educated workers, such as doctors and software engineers. Under that proposal, large technology companies — such as Amazon and Microsoft — could see their rates increase to 2.5 percent, according to Tarleton. The House Democratic proposal also funds the bills included in Inslee’s clean-energy package, which has been advancing through the Legislature this year. Additionally, it funds the contracts that approve new raises for state workers. The plan also provides about $18 million over two years intended to increase foster-care beds for youth with complex behavioral health challenges. That is intended to stop the practice of sending those foster youth to facilities in other states — though a recent report estimated that would cost about $50 million for the budget cycle. Without raising any new revenues, the state is projected to have nearly $50.6 billion for the 2019-21 operating budget. 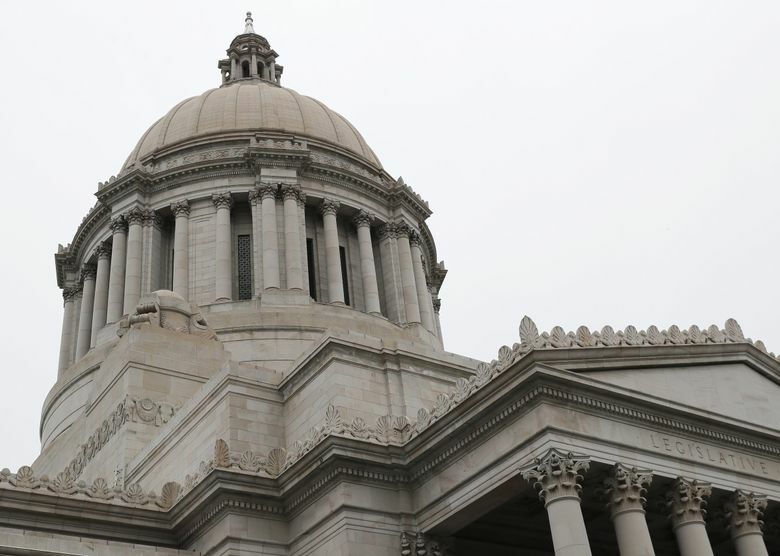 But Democratic lawmakers and Inslee have said that despite strong revenue growth fueled by Washington’s solid economy, the state needs more money to fund existing obligations and address other priorities. Much of that conundrum, they say, comes from roughly $4 billion needed to continue paying for the 2017 K-12 school-funding plan that resolved the state Supreme Court order known as the McCleary decision. Republicans, who are in the minority this year in both the House and Senate, have argued that the growth in existing revenues should be able to cover any new spending needed. Rep. Drew Stokesbary, R-Auburn, argued that the growth of existing tax collections, combined with budget tweaks and policy changes, could raise spending without new taxes over the next four years. To fund additional priorities over the next four years, “you can easily get to $3 billion by more or less snapping your fingers,” Stokesbary said last week. While lawmakers approve a two-year budget, they must by law make it balance over the next four years. So lawmakers plan that far out. In December, Inslee proposed a $54.4 billion two-year operating budget. That plan also included changes to the real estate excise tax, a boost on some of the business-and-occupation tax and a new capital-gains tax. Senate Democrats are expected to release their own two-year budget proposal later this week. After that, House and Senate Democrats are expected to negotiate a compromise. Joseph O’Sullivan: 360-236-8268 or josullivan@seattletimes.com; on Twitter: @OlympiaJoe. Seattle Times staff reporter Joseph O’Sullivan covers state government and the Legislature.